Mobile casinos are thriving right now with new players discovering the fun of playing games on the move from wherever they are, whenever they like. No more wasting time as every minute spent in a queue or bored at work can be spent playing the best games and winning money – all discreetly and easily from your mobile. There are few things to think about before playing, so read our top 4 mobile casino tips to help you get more out of your first mobile gaming experience. Make sure you have a good signal before you start playing mobile casino games. Imagine how frustrating it would be to lose your signal just as that important spin begins on your favourite slot game – did you just miss out on the progressive jackpot!? Or maybe you just got dealt a great blackjack hand and can’t continue to play it out. Did the roulette ball land in your favourite number? If the signal goes during the spin, you’ll never know. Also remember to ensure your battery is well charged for the same reasons. This must be one of the simplest and most important mobile casino tips for everyone, no matter how experienced the player! Get a good sized screen to play your mobile games on. Mobile games are always best played on a screen large enough to see the whole game layout. Many mobiles have big screens and tablets will normally be just fine. It is also a good idea to have a colour screen. With a large screen in full colour you can enjoy the games to their best capacity – plenty of bright colours and lots of detail. It makes it all the more fun when you can see all the action. It is also easier to see the cards and numbers, to see exactly what is going on in your mobile game. Tablets can be even better than mobile phones for mobile casino play due to their larger screen size, so check out all the phones and tablets out there to find your perfect mobile gaming companion. Finding a good screen is one of the extra important mobile casino tips for roulette players, so you can see the whole roulette table layout on your mobile or tablet screen. Check out the mobile casino bonuses that are best for you. If your casino offers both types of gaming, the mobile casino bonuses can often be different from the desktop bonuses. Mobile casinos all offer bonuses and promotions to players and as a new casino player, you are in a good position to scoop a large free bonus. It is well worth checking out the various offers around to find the best one for you and your own individual style of play. Maybe you are a mobile slot games fan, or perhaps you prefer traditional classic casino games such as blackjack. The mobile casino tips which are important for you regarding bonuses depend partly on your preferred game. Mobile casinos all offer some kind of welcome bonus and often a boost of free cash with no deposit required as a thank you for simply signing up. Take full advantage of these offers as the welcome bonuses will be some of the best you’ll find. 4. Mobile only or desktop too? Do you want to play at a regular online casino (desktop) as well as at a mobile casino? Playing at a mobile casino is great fun but many players like to play online at a regular desktop casino too. If you want to have the choice, then maybe a casino that offers both mobile games and regular games would be a good choice for you. Mobile casino games at vipclubcasino.com include a huge range of top quality slots, while you can also play on the desktop site. Another site that offers both mobile casino games and desktop games is Ladbrokes Casino. Some of these sites also offer help guides and mobile casino tips for beginners to help you get the most out of your play. 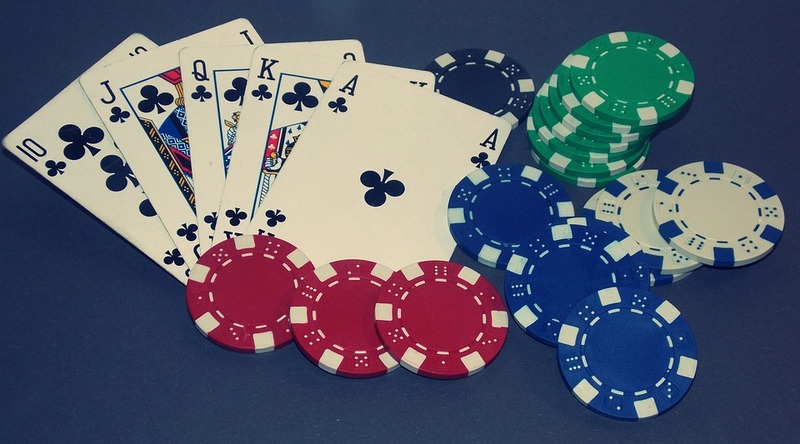 Skill or Luck: Which Casino Game is Best for You?